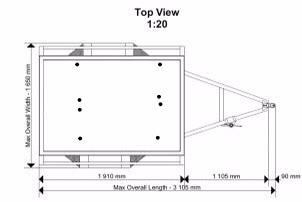 What all would I need to do to my HF trailer to make it work for a bike? Thinking about getting it done and adding to the list. Would only be able to haul lite bikes with the versa tho. Assuming you have sturdy floors just have D rings installed in the floor to strap down too. 4 on either side (2 in front and back) and 4 in the middle of the trailer (2 in front and back). It could be done for $20 bucks probably with quality D rings. Make sure it's done properly so they don't come out and the bikes fall. Easy as that.